There aren’t all that many rogue traders in the skip hire world, but it’s still important to ensure that the company you’re dealing with are fully legitimate. The easiest way of doing this is by finding out a little more about past dealings, preferably through customer testimonials, as well as ensuring that they have the necessary licenses for dealing with waste. In the world of skip hire, as with any industry, there are regulations that bind all companies. This is particularly true of any business that has to deal with huge volumes of waste. In the UK, this often comes in the form of Environmental Permitting from the Government-operated Environment Agency (in Scotland and Northern Ireland this is referred to as a Waste Management license). If the skip hire company you choose to deal with aren’t legitimate you could find yourself in some pretty serious hot water. 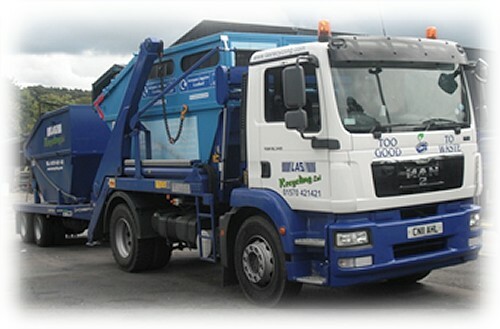 When hiring a skip you are responsible for the waste at all times, including when it is collected and processed. So if that waste ends up being fly-tipped on public land, then you will be held accountable. This is all because of the Duty of Care rulings upheld by councils throughout the country. If you are found to be in breach of these, you will have to foot the bill for the cleanup operation – which may run into hundreds of pounds. So whilst the initial skip hire might be cheaper than many other quotes you received, the overall cost could be far higher. Any respectable skip hire company will be entirely transparent about the work they do, where waste is taken and what their processes are. If you are unable to get satisfactory answers from them when doing initial research, then you might want to try elsewhere. You could also ask for some testimonials from past customers. This isn’t always necessary, but for complete peace of mind it is a consideration. The company you’re dealing with may not be able to divulge all customer information due to data protection issues, but they might be able to point you in the right direction to happy repeat customers. Another simple way of finding out if the company you’re dealing with are legitimate is the length of time they’ve been in business. If they have been practicing some pretty dodgy methods, the likelihood is that they won’t have been doing so for long, particularly not under the same name. Do a little bit of research and just make sure that they’ve got a history to back up claims. If you choose to go online to do your research you can also look to see if there are any reviews of the company from previous users. A straightforward search for their name can unearth some revealing results, including any issues that people may have had with them. It’s not a foolproof way of determining legitimacy, but it is certainly one way of getting a clearer idea of the company as a whole. You can also enquire whether they are part of any official bodies too, such as the Chartered Institution of Wastes Management. If they have taken the time to seek membership of an accredited organisation, who will often have strict codes of practice that they must abide by, then they are far more likely to be a trustworthy and ethical skip hire firm. So it is important that you make sure that the business you’re looking to deal with is legitimate, but there are many ways that you can go about determining this. Be sure to do a little research and don’t just hand your cash over to the first company you speak to. If you want to avoid the issues of having a police visit after waste that was illegally dumped being traced back to you, then it’s important that you take the time to find a reputable firm.